Two calculation methods are: Marcus method and Czerny method. In this method, the slab is replaced by two intersecting strips along directions x and y respectively, which meet in its middle point m.
Depending on the support conditions, the strips are classified as simply supported, fixed at one end or fixed at both ends. 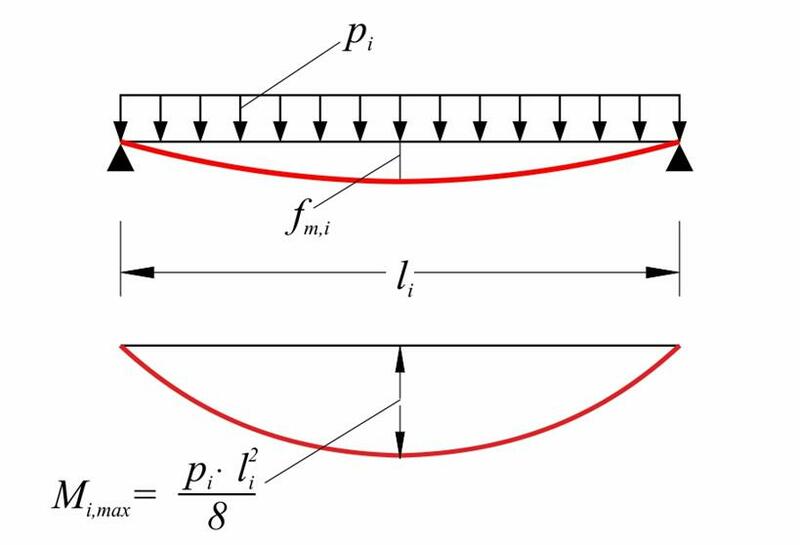 The bending moments on the spans and the supports are calculated by analyzing simply supported, fixed at one end or fixed at both ends strips, subjected to load px and py in both directions respectively. The twisting moments affect only the span bending moments. For ε=2/3: kx=0.165, ky=0.835, νx=0.691, νy =0.691, 100am=1.78 (against 9.27/1.54=1.83) [*] NoteResulting values in the example are compared with the corresponding of the differential equations of elasticity theory of slabs, for the same aspect ratio. 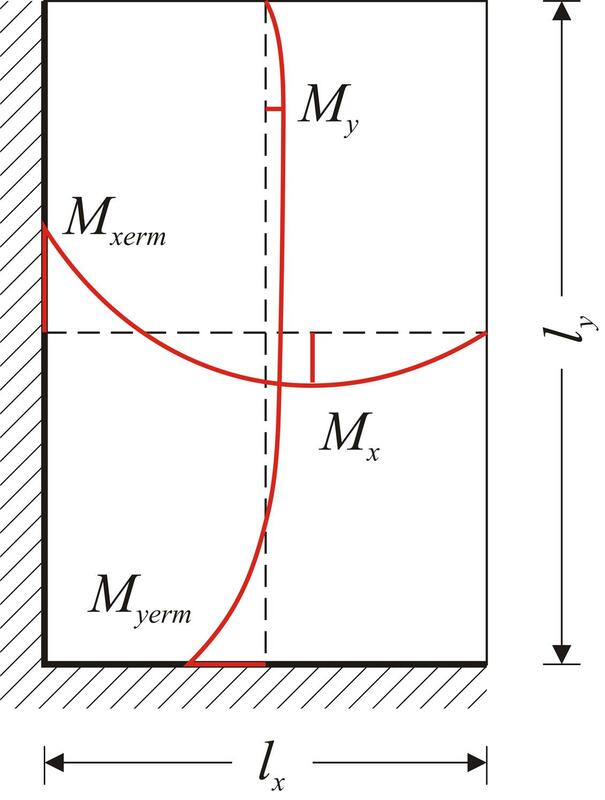 In case of ribbed (Zoellner) slab, moments and deflection curve are calculated approximately by using reduced factor νx, νy e.g. equal to ν'x, ν'y, or even with value 1.0. To calculate the deflection the actual moments of inertia I of the ribbed slab is used, obtained by multiplying the corresponding table value with the reduction factor Ι/(1.0· h3/12)<1.0. 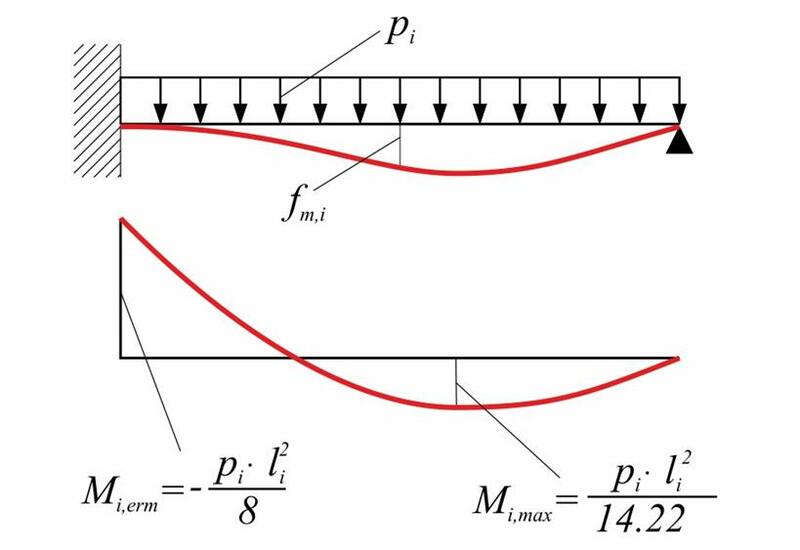 Czerny method, the bending moments and the shear forces are expressed as a function of the shortest distance lx, whereas in Marcus method, the bending moment in each direction is a function of the respective dimension. Slab tables usually referred to aspect ratios ly/lx≥1. 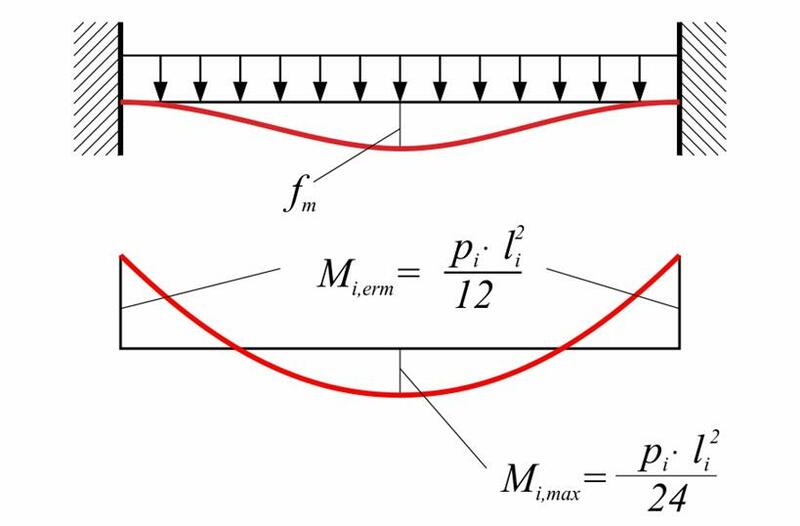 When ly/lx<1, slabs are considered rotated by 90 ο.
Twisting moments Mxy are also provided by certain tables (when proper conditions met), as well as shear forces due to bending with or without twisting moments at the edges.